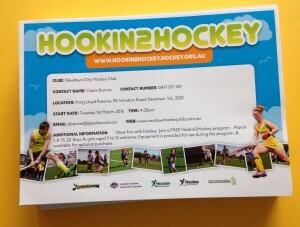 Uncategorized Archives - Newtown City Hockey Club Inc. 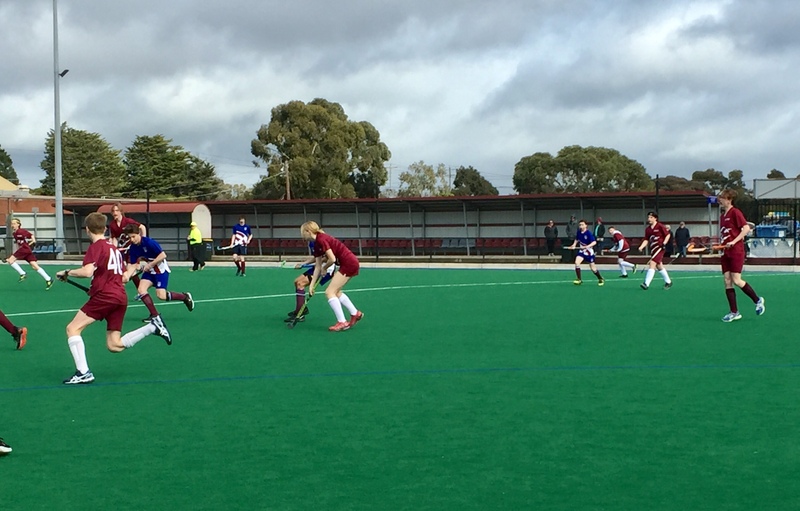 The 2018 hockey season came to a close with the highlight being a thrilling match in the Under 17 Mixed Grand Final. Congratulations to Newtown Strikers – Premiers for 2018. 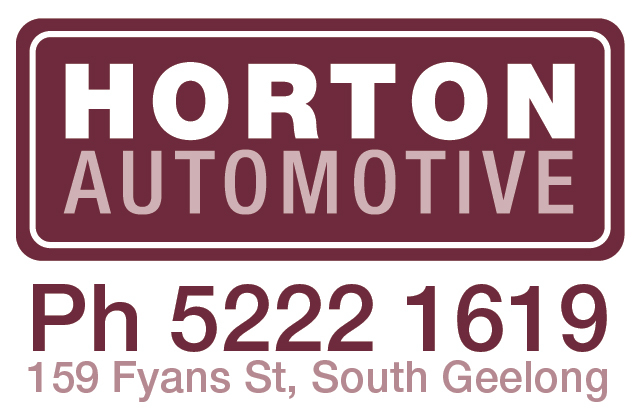 The Grand Final match between Newtown Strikers and Torquay finally arrived on Saturday. Stead Park gave us the usual weather – windy and cold but with sunny skies and a few sprinklings of rain prior to the match. Our match was delayed a little due to the fantastic penalty shootout between U14 Torquay vs Geelong. Strikers started with a touch of nerves, we were passing early, and the hits were strong and long, but pressure from Torquay meant that many of those passes were inaccurate. Torquay had a Penalty Corner when Miles cleared the ball over the back line, but they couldn’t convert. Strikers pushed into attack a few times through Harry, Jack, Jarret, Oscar and EJ but Torquay’s defence had us struggling to reach the circle. It was mostly Torquay in attack with Sam R doing some good work to dispossess Torquay’s most senior player and Caleb and Miles continuing their brilliant form in defence. We were under siege for much of the half, and with Torquay entering the D quickly mid-way through the half, they scored a goal with a fast low reverse stick beating our defence and getting past Luka. Soon after, Miles was sent off for 2 minutes, and then the clouds broke and pelting rain and hail saw the crowd vacate their seats to take cover. The rain slowed down the play a bit and there was no further scoring in the first half. At half time as we tried to keep out of the rain behind the dug-out, Coach Darren and Assistant Coach Deb gave the team some words of encouragement and inspiration and they certainly took the words to heart, as we came out a much more cohesive unit in the second half. At the 8 minute mark Jarret forced a turn-over that enabled Harry and EH to take the ball into the circle and Strikers drew a Penalty Corner. Strikers had been practicing our Penalty Corners at this week’s training, and to stop Torquay running straight at Ella (as the only girl who could take the first hit), we practiced passing to other players and then to Ella for the hit. This worked perfectly during the Grand Final, as Jarret received the push, then passed to Harry who passed to Ella and she put the ball through, making the score 1-all. The game was back and forth from there, with Torquay having the better opportunities with a hit across goal but no-one to receive, and a Penalty Corner 14 minutes into the half, but in a brilliant passage of play Jarret took the ball forward and passed to EJ. EJ then took the ball into the circle and with his trademark big swing scored a brilliant goal to give Strikers a 2-1 lead. Torquay kept calm and had a Penalty Corner which Strikers defeded, then Torquay again had a big chance with a hit across goal. Strikers too had some nice play with the team streaming into attack late in the half and a near goal as we managed to bring Torquay’s goalie out past Sam S but Sam’s hit was saved on the very last line of defence. With just on a minute remaining, Strikers had a Penalty Corner which was defended, but Torquay ran out of time to take the ball into attack. As the whistle for full-time was blown, the Strikers players, coaches and supporters were ecstatic to win in a fantastic game against a really awesome team in Torquay. 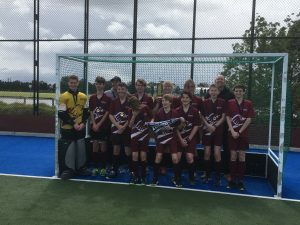 Thanks to Coaches Darren and Deb, families of the players, and most importantly the players themselves for believing in themselves and giving us a great hockey season, culminating in this fantastic Premiership triumph. Grand Final Day also saw the presentation of Premiers and Runner Up medals and pennants for the U10 Mixed Competition. Congratulations to Newtown Strikers, Premiers, and Newtown Rebels, Runners Up, for these well deserved rewards for a hard fought hockey season. With the last of the home and away matches for the 2018 hockey season completed, six teams are heading to finals, while others can rest and relax for a little while. 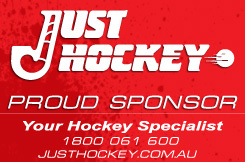 Congratulations to all teams on their efforts in this hockey season. It has been great to see the number of families participating and the friendships which have developed during the year. 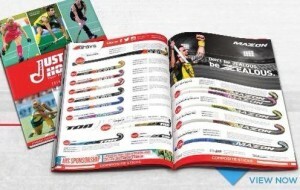 We hope to see many people playing in the summer hockey season, which will begin in mid-October. Special congratulations to our Under 10 Mixed teams. 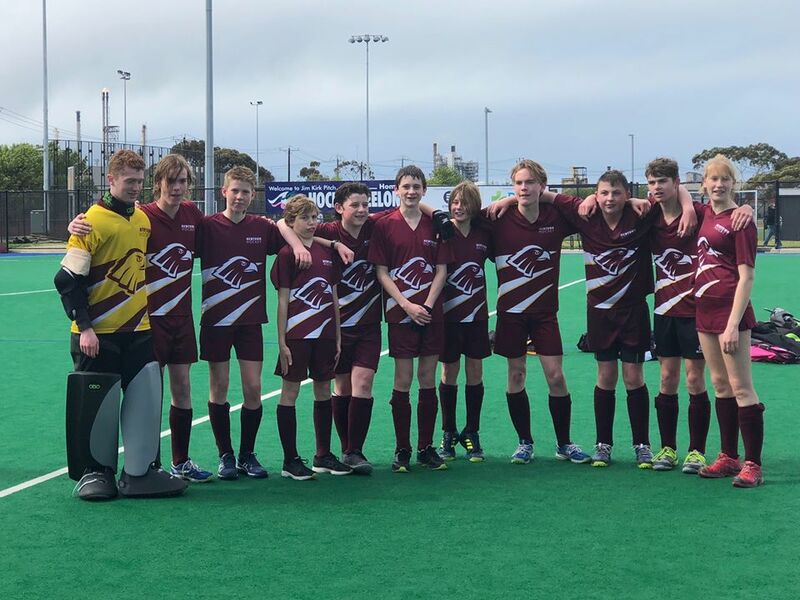 We began this hockey season with 2 teams entered in the Hockey Geelong competition, but extra players joining resulted in the entry of an additional team and reshuffling the 2 teams into 3. The players all adapted very well to the change and have demonstrated a very high standard of play all through the year. Many players have shown great maturity, good sportsmanship and great skills and game understanding. Goalkeepers are always in demand in a hockey team, and the performance of Hamish Scudamore for U10 Spirit has been outstanding in this role. Hamish is one to watch in the future, as he already shows great goalkeeping skill and tactical awareness. 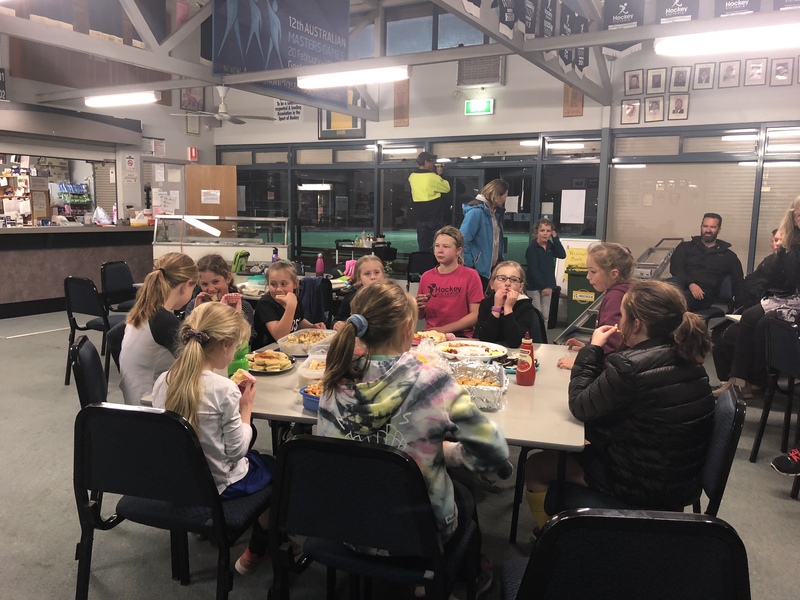 There are no finals for the U10 teams, so the Premiership is decided on the final ladder placings. We are delighted to note that Newtown Strikers finished as Premiers for the 2018 hockey season, with Newtown Rebels as Runners Up (despite having played 2 less games than other teams). Newtown Spirit were placed in 4th position, but only separated from the 3rd placed team on goal difference. 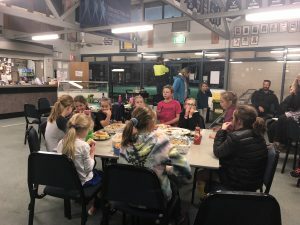 Well done to the girls who participated each week in the Hockey Geelong U10 Girls program. With 13 players from all clubs, 7 from Newtown, involved during the hockey season, teams were randomly selected each week from those in attendance. The development of skills and game strategy was very pleasing to see, and also showed in those who were also playing in the U10 Mixed teams. Friendships were formed during the program too, and it is hoped that this program will progress to U12 in 2019, with more players participating. Congratulations on your efforts – Ruby, Amelia, Elliott, Stella, Lily, Alex, Matilda. 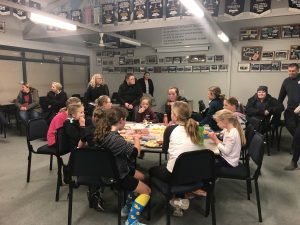 The program finished last week, with the girls and families enjoying some after game dinner and chat. Spirit showed just how much they have improved in 15 rounds in an action-packed game against club mates Rebels as they closed out the winter hockey season on Saturday. With the sun shining at Lloyd Reserve, the two Newtown teams gave spectators an entertaining spectacle that featured fast breaks, strong defence and great linked play. With Drew protecting the goals and delivering well-placed free hits out of defence to forwards Braxton, Summah and Ollie, the team took advantage of any chances they had to push forward. But Rebels kept Spirit under pressure, with the opposition working the ball into their attacking zone time and again. Spirit half backs Pollyanna, Edie and Maia toiled tirelessly to keep the Rebels at bay, with all delivering great free hits out to players including Ollie, who positioned himself beautifully out wide and latched on to any ball that came his way. Spirit tackled, trapped, marked and passed strongly, creating space by keeping to their positions. They also put in some great second efforts to keep the game flowing. After a position reshuffle at half time, the team took to the field with renewed vigour. Half back Braxton powered a beautiful through ball to Drew on the forward line, who shot it off to a well-positioned Edie and she capably forced a free. The linked play was just one of many examples where Spirit’s teamwork shone through. It was also clearly evident within the Rebels team, with their players working the ball well in both attack and defence. After the final whistle Coach Kellie praised her team for their strong game, applauding them for creating more opportunities to run into attack. She told the team they had called more and marked players well. She awarded Braxton a Subway award for his great game that included well timed tackles and clever delivery of the ball. Pollyanna also received a Subway voucher after playing a cracker of a game. Well done Spirit for a great winter season and thanks to Coach Kellie for a sterling job at the helm. See you next year. Strikers had another great performance this week against College Green. Strikers started the game confidently by attacking strongly, forcing College Green to defend for the majority of the first half. Strikers showed their improved skills by controlling the ball well andpassing accurately to other team members. Strikers kept their positions which enabled them to find space and continually move forward. At half-time, Colleen told Strikers they were playing extremely well as a team and to carry on doing the same! In the second half, Strikers again attacked quickly and strongly and the play continued to flow well. Strikers again showed how much they have improved since the start of the season. Well done Strikers for a fabulous last match of the hockey season! Cormac and Odin were awarded Subway Players of the Week for their improved performances over the season. Congratulations Cormac and Odin! 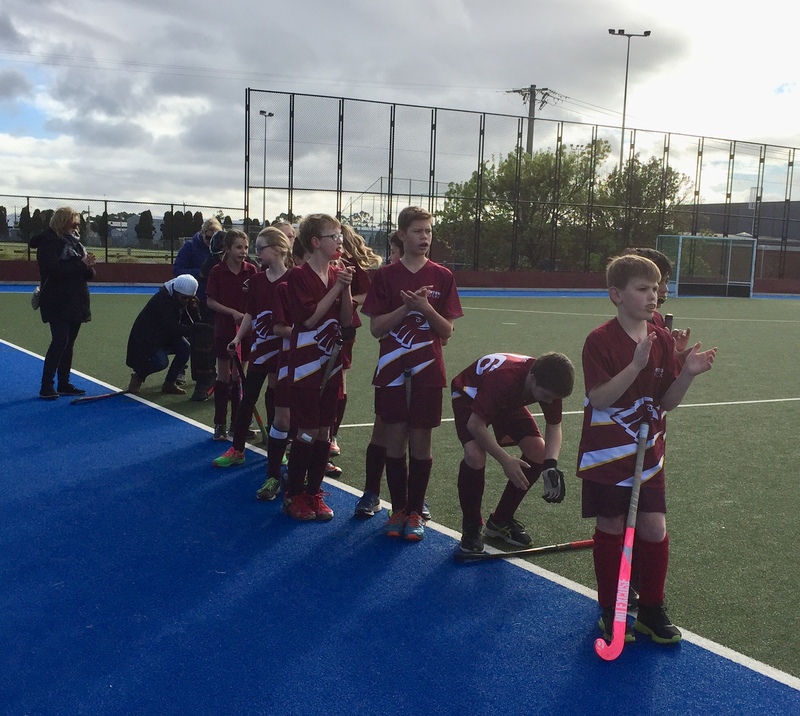 Newtown Rebels finished off the hockey season with an excellent game, showing great focus on the ball with sticks on the ground and always ready to put pressure on the opposition. Players showed lots of desire to get the ball, although at times moving out of their positions to do so. Great running by George, Harrison and Sam and good passing by Ella, Sofia, Marlo and Edward allowed Rebels to move the ball into attack well. Zeph and Amelia made some lovely interceptions with good scanning before deciding where to pass to space for team mates. Improved marking of the opposition was pleasing, not allowing Spirit to move forward easily, although their strong defence make Rebels work hard. Subway Awards to Ella and Zeph. The pre game coaching heard Kellie asking the team to use the field and our team mates – this would be the key to us being competitive in this match. We needed to ensure the ball went to a team mate, any loose balls or passing to a free space would see the opposition get it straight away. Our all round skills today would be imperative to being competitive, as we knew the opposition would have touch tackles. Kellie gave the team the opportunity to pick their own position for the game, which was really exciting. The game was so exciting, with lots of excellent & pressure plays – it was so intense, with intense speed, using the ball well and stepping up to the ball rapidly. Kellie wanted the players in the second half to stick to their players, as we did lose momentum when we were out of our position in the first half. We also needed to call for the ball, look for our team mates, and if one of our team mates had the ball, let them know if they were about to be tackled by the opposition. At the conclusion of the game Kellie and the parents all agreed that it was the best game ever! We all enjoyed watching the plays, the strong ball movement, how we were making more options, and how we naturally fell into our positions. We looked dangerous all game with Kellie feeling like there was a goal on the tip of her tongue all game. There was a unlucky goal scored by Strikers in the dying minutes of the gamer that left us feeling defeated but we can hold our heads high as we showed how strong we can be. It’s been a joy this season to watch each player grow and develop their skills. All the best to the players for next year. 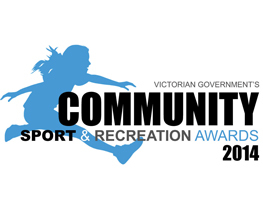 Four Subway Awards were handed out – Hamish & Lucy received one for being conscious of where they were sending the ball back to, thinking before doing. Nate and Charlotte received theirs for being intense and strong all game. 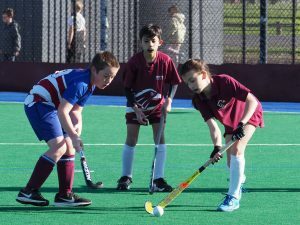 In the final game for this hockey season Strikers met Torquay on Pitch 1 at Stead Park. An excellent Torquay attack and goal early put Strikers under real pressure. Strikers rallied and play a solid team defense to repel the Torquay team until a chance goal late in the half put Torquay up by 2. Several close chances for Strikers either just passed the post or were the subject of excellent saves. Strikers successfully implemented the team plan of spreading wide and using the wings. An entertaining first half. In the second half Strikers fought hard again with resolute defending and counterattack. Both sides were scoreless in the second half with Torquay prevailing 2-0. Despite the scoreline it was perhaps the Strikers most complete performance against a team that is high on the ladder. Strikers dominated periods of play, ran hard and were desperate in defence. Special thanks to Phil Telfer for his coaching this season. He has provided excellent, measured guidance for the kids and this is appropriately evidence by the level of improvement in the team over the year. Harry and Coach Darren were away but Sam R and Miles returned, and we had Oliver from U14, for Strikers’ game against Kardinia. Coach Deb decided to mix the players’ positions up a bit and had EJ and Ella up forward, with Miles playing in defence. This change must have caught Kardinia off-guard, as EJ received the ball and with a big hit scored a goal in the opening minutes of the game. That was followed up by another goal to Oscar, but to Kardinia’s credit they steadied and had a few entries into their attacking circle, but Miles’ stick-work was excellent, trapping bouncing balls on his reverse-stick and leading out of defence. Strikers had further chances through Penalty Corners but Kardinia did well to block hits from Ella, Oscar and EJ. In the second half, Kardinia turned the tables on Strikers and had 2 early goals to bring the scores level 2-all, but from there Strikers really took control of the game. Our defence in EJ, Caleb, Sam R and Luka were impenetrable, and good passing saw us create lots of opportunities. Miles hit our 3rd goal with a bouncing hit over through the goalie, and there were some good runs from defence into the attacking circle from Jack and Miles, and a number of crosses and passes in front of goal that we were unlucky not to score from. Final score was 3-2. Newtown Spirit vs TorquayNewtown Spirit played Torquay with 13 team members on Sunday in a tightly contested match. Spirit started strongly and with a good passing game penetrated the attacking circle many times in the first half including three shots at goal early on. Torquay resisted the pressure and at half time the score was 0:0. ln the second half Torquay increased the intensity of their attacking play and produced many solid passing and attacking plays; but Spirit defended strongly with Rachel and Oliver in deep defence, and Tom and Angus chasing down and clearing balls from the circle. In the last quarter Spirit re-established their passing game with Ben and Miles playing well along the wing and passing quickly to our forwards who had run hard to gain good deflection positions. This resulted in one attack consisting of a great run by Angus then a pass to Ben who passed to Harry whose strike was deflected in by Oli. A quality goal that had the crowd on their feet in applause. Both teams continued to contest and with only two minutes remaining Torquay attacked and converted to equalise resulting in a one-all draw. Coach Paul praised the team after the game commending all on playing well, short corners, putting in the effort, creating many 1-2’s, making good decisions in the D, chasing down free balls, and stopping Torquay from running with the ball. He praised Oliver and Rachel for their rock solid defence, Harry and Oli for a “cracker” of a game and Ben for playing a lot better. Thanks to Oli and Harry for playing up from U/14’s and for being instrumental in today’s successful outcome. Well done to all players for their individual efforts, passing well, chasing down balls and ultimately improving the team result with a draw. Well done all players keep up the hard work with a determined effort against Torquay in the semi-final next weekend! Newtown Spirit has shown great cohesiveness during this hockey season, with a strong and reliable defence and this last game was no exception. Great midfield play and pressure on the opposing players by Kellie, Andie and Beth was well backed up by Wendy, always in the right position, and Tracey, meeting the opposition onslaught early to deflect attacks. Great running and position both in attack and defence by Katie, Emma and Amelia allowed the play to move forward into our attacking area, where De, Jessie, Peta and Sarah were always ready to receive and look for team mates in good position. Spirit had a number of attacks which reached the goal circle and shots at goal which unfortunately didn’t result in scores, although not for lack of trying. Well done and congratulations to all the members of the team. Although eliminated from the finals, it has been an enjoyable year and the improvement both individually and as a team has been very pleasing. Although our goal difference was significantly negative (we won’t mention how large), the 16 goals scored for the year gave us all some heart and enthusiasm for next year. Thanks to Paul whose coaching efforts have been much appreciated. Bring on 2019! We are down to the last few rounds of the 2018 hockey season now, and all teams have much to celebrate and be proud of. Strikers had a good, solid performance this week against Red Jaguars. Red Jaguars started the game confidently by attacking strongly, forcing Strikers to defend well. It was a tough half as Red Jaguars crowded the middle of the field so it was difficult for Strikers to keep their positions. At half-time, Colleen told Strikers to remember to move quickly into position in front of the ball whenever free hits were about to be taken. She also stressed the importance of moving out wide to find space. In the second half, whenever Strikers attacked quickly and strongly, they caught Red Jaguars off guard. However, Red Jaguars mounted a strong counter-attack and Strikers had to spend a lot of time defending their goal. They worked together well as a team and showed amazing persistence, never giving up. Overall, Strikers had another great match with all players working tirelessly. Isabelle was awarded Subway Player of the Week for moving well around the pitch and her good positioning. Well done Isabelle! Rebels showed great focus on the ball from the start of the game, and with sticks on the ground, gained possession and control of the play early. Excellent running and dribbling skills moved the ball quickly into attack and great passing between George, Edward and Sofia was very pleasing. Ella was in good position in the goals, keeping an eye on any of Kardinia’s attacking attempts. Zeph, Sam and Marlo were in good position to put pressure on Kardinia and intercept the play in the midfield. The second half saw the good teamwork continue, and with some improved focus on marking opposition players, Rebels were again able to gain possession and move into attack. Harrison and Amelia both made some nice passes, giving their team mates an advantage to move the play forward. Thanks to Amelia and Zeph for taking a turn at playing for Kardinia. Awards to Marlo and Ella for great positioning. Strikers players started the game against Bellarine in a very different configuration to recent games. Prior to starting the game, coach Jane emphasised the importance of trying new positions in order to practise new roles within the team and try new things, particularly with only 3 games remaining. With Surry suiting up in the goalie gear this week, Meyah began the game at centre half, supporting our starting full-backs, Avah and Lisette and feeding the ball forward to our young and energetic forward line of Michael, Will, Maddie, Zac and Jacob (filling in for Charlotte). 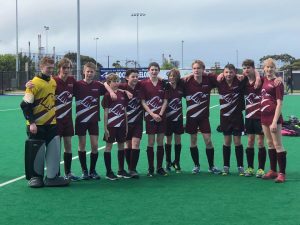 Both Zac and Will relished their time as inners, making several long, confident runs forward where they successfully navigated around opponents with impressive stick work. Will was thrilled to finally finish off some determined work in the attacking circle with his first goal of the season. Maddie was also proving to be a lively target with her return to the centre forward position. She kept forward of the ball and was making good space when our running forwards gained possession. With several rotations made during the first half particularly through our full back line, constant reminders about positioning was needed to help players adjust to the on-field changes. They did well to listen and play their role for the team. In the second half, Bellarine managed to score shortly after the break due to some confusion with direction and congestion of Strikers defenders in front of our goalie Surry. Following this, Strikers players were quickly rearranged into more familiar positions in order to return some stability to our team balance. Jacob who had done an enormous amount of running on the right wing was given a rest in defence and Will moved out wide to continue our dominant play on the right side. Several excellent crosses from deep in the right attacking corner resulted in strong attacks on the goal face and earnt a number of short corners. Kye returned to some of his best hitting, striking the ball cleanly into goal from a short corner play. Other highlights in the second half, where the Strikers regained their composure and great team play, included a cracking hit from Kye from a free at right half which reached two free forwards on the far left side of the field. The other moment came when Meyah ran the ball forward, spotted Maddie free ahead of her and passed inside the circle. Without hesitating, Maddie flicked the ball on and straight into the goals. It was a perfect reward for her consistent effort up forward and great positioning throughout the game. An awesome team goal to cap off a solid team performance! Awards this week went to Maddie and Jacob. The game started out with a very quick goal by Rebels, which had the parents wondering if this was going to be a one sided game…..but some stern coaching tips by Kellie saw the team come out and put up some touch defensive and offensive play in the second half to take the win 3:1. Kellie spoke about the game being an intense and tough game, with the pace of Rebels being much faster than the teams we have played in recent weeks. She asked the players to trust themselves and their skills. In the first half the ball movement felt panicked, with small passes and taps rather than controlling the ball – the stick must not come off the ball, if we do this then we will draw the free. Kellie wanted the players to possess the ball, take big steps to get out of the crowd. Coaches often talk about whether a game is a passing versus dribbling game – today’s game was definitely a passing game, but controlled passing was the key. Hamish saw lots of action this week in goals and his defence was excellent, keeping Rebels to 1 goal for the match. The second half saw us spreading out wide, keeping the field covered which saw some play of the ball that Kellie talked about – possess and big steps, lots of movement. It was a tough game, and a great match for the spectators. Congratulations to Annabelle & Oscar for receiving the match awards. A great team effort from Strikers last round winning 3-0, however Bellarine were dominant in 1st half and unable to score. Ebony saved a couple of their chances on the post and first time GK Brayden (with no practice session) looked so comfortable in the role he took on a striker in the 2nd half to meet the ball and cleared it in one fluent motion. All the defenders all played their role with Alice, Mai, Sam and Thamindu all outstanding. Ruby organised the team in the pre-game warm up and led on the field with some great running in space. Chloe had a great game at inside forward and all the other forwards Scarlett, Curtis, Charlotte and Amber applied a lot of pressure on the Bellarine defence leading to Max to finish off with 2 goals and Tom the 3rd goal in a great team performance. The first half started off with two short corners to Newtown, neither of which were converted but Newtown kept the pressure up. Not long after, Harley who was ideally positioned on the post, struck gold when he got hold of a rebound off the goal keeper’s pads and slotted the ball in for a 1:0 lead. After half time refreshments and words of wisdom from Pete, the team stepped back out onto the field. The defensive line held their structure and used the midfielders to get the ball through to the attacking line. Nick and Will had unlucky shots on goal, both created by great leading, positioning and talk between team members. The end of the game was scrappy as players on both teams were visibly tiring, no doubt due in part to the blustery conditions. Newtown are solidly positioned in the top 4 with a couple of rounds remaining, but we need to stay focused and carry the momentum forward to the finals. See you all at training on Thursday at 5:30pm. 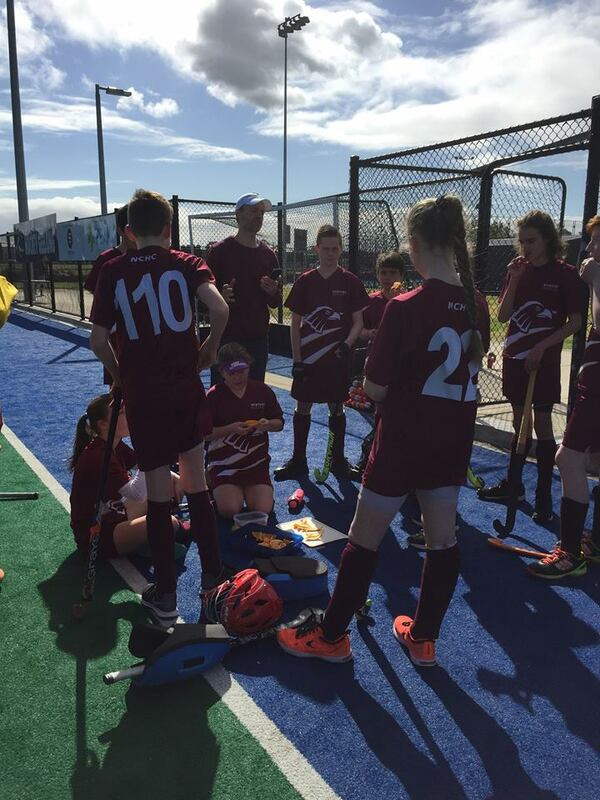 Newtown Strikers met Newtown Spirit in the last “local derby” of the U17 home and away hockey season on Saturday. Harry and Sam S were back but Miles and Robbo were away this week, so to compensate, we had Amelia and Nick top up from U14, and both teams were able to field 11 players. Spirit got off to a quick start with an early goal and had our goalie Luka under a lot of pressure. Oscar blocked a hit in front of goal and EJ also provided good defence under pressure. Strikers had a number of penalty corners but weren’t able to get through the Spirit defence. Spirit on the other hand, were able to use speed to get past our defenders and slot another goal through on the post to take a 2-nil lead at the half-time break. At half-time, Coach Darren called for early passes and better communication – to know where our next pass is even before we’ve received the ball, and to call out when free or let the ball carrier know they were “hot”. He also called for more accountability in defence – to be in front of our opposition player and within an arms length – “in front, and in touch”. In the second half our defensive pressure was noticeably better. Spirit still troubled us and scored another goal to go 3-nil, but from there we dug deep and got the ball through to Amelia in the circle who scored our first goal. We again went into attack and received a penalty corner which was defended, then Spirit had a penalty corner of their own, and managed to keep the ball in attack after the corner to score another goal, to lead 4-1. Strikers kept their heads up and Jack scored a goal, then Oscar added another to make scores 4-3, but time was against us and a 4-3 loss to Spirit was the final result. Our returning players Harry and Sam, and our top-up players Amelia and Nick, had some really nice passing throughout the game – excellent to see as they are all from our U14 age group. 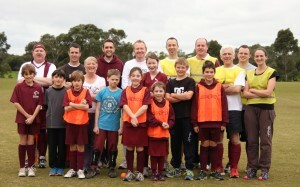 Newtown Spirit played Newtown Strikers in a closely matched game on Saturday. Spirit scored early with a strong goal from Miles and followed up with another from Tom. Undeterred Strikers replied quickly and put the pressure on Spirit defenders who held strong, and credit to goalie Max who saved many shots on goal. Strikers were relentless and scored two goals to equalize the score at half time. In the second half Oliver scored two goals from within the D, pushing his shots past the Strikers goalie to take the score to 4:2 in Spirit’s favour. Strikers again replied with only five minutes left on the clock and scored. Spirit defended strongly until the final siren and were rewarded with a 4:3 win. Thanks to Strikers players Harley and Will who joined the Spirit team to equal the numbers. Thanks also to Oliver for playing up from U/14’s. IGA Player of the Week award to Martin Andrews. IGA Player of the Week award to Hannah Rix. 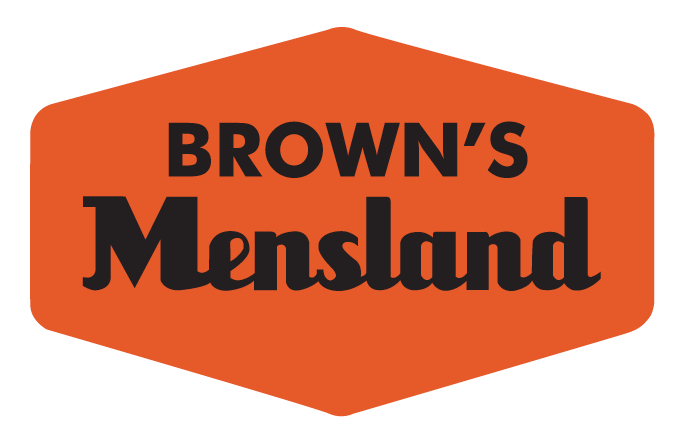 A disappointing scoreline that didn’t really reflect the run of play – Division 2 men came to today’s game with the opportunity to enter the top 4 for the first time for the season and potentially set up a finals position. The game started well with some excellent attacking play and with us going up 1-0 after a shot from Dave was nicely deflected in by AJ lurking near the post (a classic AJ goal – he often manages to find himself in the right position). Torquay drew level from a short corner before half time to set up an exciting 2nd half. The second half saw Torquay step it up a gear, with a great display of passing creating a range of opportunities, three of which were converted. Despite creating several opportunities of our own (many of them cheered on by the Golden Plains team arriving for their game after us), none of them ended up in the back of the goal. While mathematically the team can still play finals, that looks unlikely from here. However, the team has improved significantly over the season and this game exemplified much improved structure and passing, that nearly paid of for us. Looking forward to the last two games of the hockey season. The Spirit team continues to improve each week, with great defence and some excellent forward moves. Wendy and Tracey held the defence together with great positioning and some timely interceptions to deny Torquay’s progress to the circle. Strong midfield defence and great clearances from Andie, Kellie and Peta sent the ball forward where running players Lauren, Jessie, Katie and Emma were able to gain control and work well together. In her 100th game, Jessie looked set to score a goal after a great run to the circle, but it wasn’t to be. Great work from De, Kirsty and Sarah moving back or across into space to pick up passes from team mates, and carrying the ball and the play into attack. Good running and persistence by Katie, Emma and Lauren who worked back in defence to pressure the Torquay attackers. Goals scored by Peta and Sarah.